is available to a good home. Player should come on automatically. To change station click 'STOP' and use SHOUTcast. 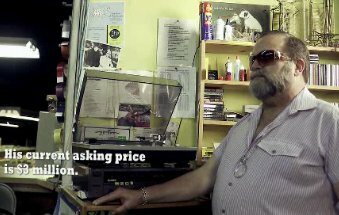 Have you ever listened to an album played through a Hi Fi system where the stylus alone cost over a thousand pounds? The arrival of the Compact Disc saw 33¾ RPM vinyl albums thrown into landfill by the ton. Today, even the CD player is old hat. Why keep changing discs when a computer can deliver continuous music hour after hour? Nevertheless, audiophiles still assert that the best way to hear recorded music is to play an album on 'old fashioned' high fidelity reprodctive equipment. It is not just the technology that has changed, music and culture have changed too. Those who were in their teens during the 1960s & '70s dismissed the music of their parents as they rode on the crest of a wave of new musical styles that were more varied and abundant than during any previous era. When the parents of these teenagers went out for an evening they would usually find themeselves listening to the songs popular with their teenage or 20-something children while the songs they themselves danced to a were rarely heard. In the New Millennium this situation is reversed, those who were teenagers during the '60s, '70s and also the '80s still hear the tunes of their adolesence while their own teenage or 20-something children have to listen to the same ancient tracks when they go out. From the late fifties to the onset of computing, digital sound and the Internet, music was channelled to audiences through discreet, focused channels. 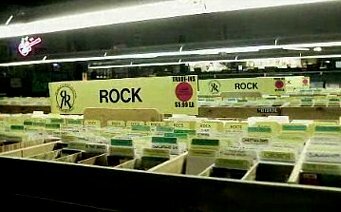 Records were bought one at a time, cherished and shared; radio stations were few and far between and a taped copy of an album was never as good as the real thing. For the past decade or thereabout music has been easy to duplicate and share without loss of quality and without the need to physically transport the storage medium. The sheer amount of music available has grown exponentially making it harder to produce 'blockbuster' bands with huge followings. In spite of this, globalisation has opened opportunities for newcomers to reach huge audiences as never before. The 'Big Stars' are bigger than ever, in financial terms, yet dwarfed by their earlier counterparts in terms of 'market share', or 'presence'. Who, emerging in today's music world (or market), could be compared against David Bowie, The Beatles or Michael Jackson? Musically, new talent is constantly emerging but the placement within the listeners' landscape is very different. If it is true that the period from the late fifties up until the 1990s is unique in terms of the character and style of electronically recorded and distributed music, then, surely, it is an era worthy of preservation for future generations, for scholars and music lovers alike. Imagine if there were a gallery, library, university or museum that showcased not only many thousands of bands, musicians and performers but also provided a comprehensive overview of the producers and recording companies from this unrepeatable era? Every record label and sleeve contains information about those invovled in the making of the record. Scanning this data and compiling it into a form that can be used to understand the labyrinthian interconnections of the music world would require time and resources but would result in a library of world wide value for generations to come. The investment in setting up such a project would be less than the price of a single renowned painting but would yield considerably more in terms of cultural development, talent nurturing, job creation and, of course, personal reward. The financial benefits may not at first be apparent but as the era fades from memory and questions become harder to answer, being able to provide information gleened from sleeves and labels will become increasingly valuable. Imagine if music lovers could attend concerts of finest late-20th century music delivered through state-of-the-art hi fi systems with star appearances by wel known artists? 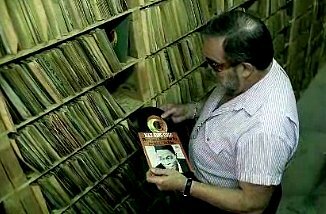 How would you like the job of listening to records and discovering hidden gems? Some 70% of the music recorded on vinyl is unavailable today in CD or electronic format. 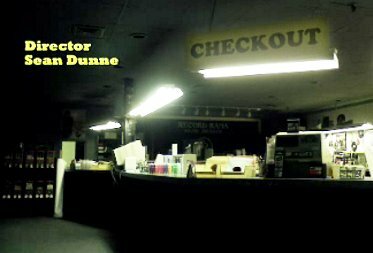 There are tens of thousands of recorded tracks that would have a packed hall in rapture if only audiences had a chance to know they exist. Sometimes an album of a dozen or more tracks has only one 'real classic' but that does not dimish its value. Have you heard of 'The Moon In June' on the 'Third' album by Soft Machine? Have you listened to 'Truth' by Jeff Beck? When did you last listen to a record by Quintessance, Tangerine Dream, Frigid Pink, Trees or Curved Air? Who cares - in the bin, shut the lid and move on... why, then, is classical music enjoying a revival? How long will it be before Fleetwood Mac, Leonard Cohen, The Who and The Stones are entered under 'Classical' or a term with similar status? 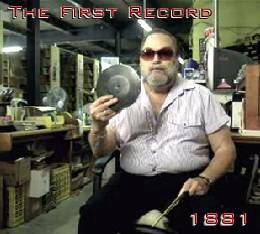 One man, Paul Mawhinney , has provided a great service to the world by amassing the largest collection of records, including 78 rpms, singles and 33 Twelve inch albums. He also has various formats of tape. 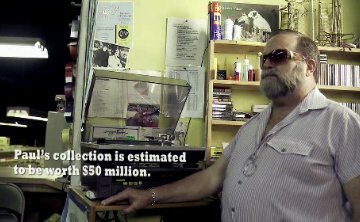 His record shop 'RecordRama' kept one original copy of every record sold. 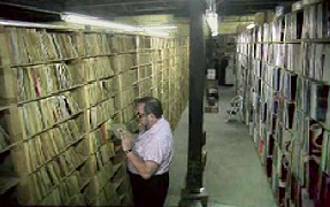 Over more than thirty years he aquired several million items, warehoused and catalogued. 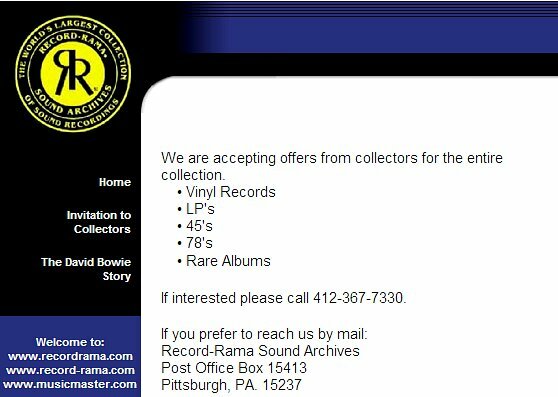 According to Paul's website, Recordrama.com , the collection is still available. Would you attend a talk on the history of hi fi music from the latter half of the twentieth century knowing it would be made up mostly of music examples? I would, especially if the mix were right. The format could vary from dance floor to cabaret or seated auditorium. Discussing the idea with friends has evoked positive responses, so much so that it looks like the collection may find its new home in Hamburg.